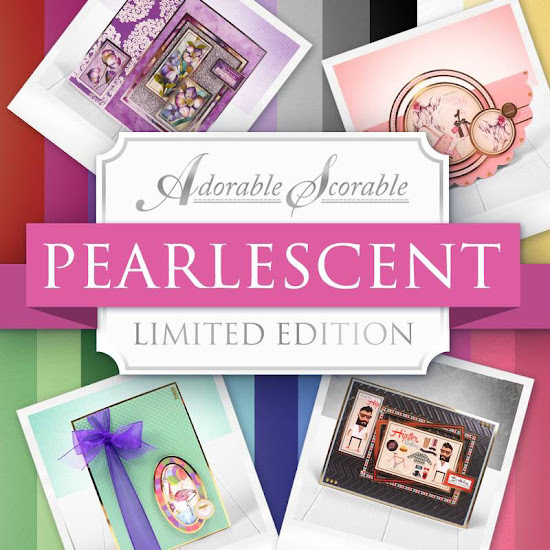 Not just Adorable Scorable but Pearlescent too, who would have thought that a year ago I would be so impressed with a range of card stock that I would remove all other card stock from my craft room? Well I did and I haven't looked back. Tomorrow I have the privilege of showing you some extra special Pearlescent Adorable Scorable, I thought is would be impossible to make this any better but Hunkdory proved me wrong. My show times on Create and Craft TV are Sunday 4pm and 9pm, Monday 8am, 6pm & 9pm Tuesday 9am. Ruth takes over on Tuesday at 5pm. Good luck with the shows. Another sell out I think.